An honour roll commemorates parishoners who served in World War One. It lists 18 names. The church closed in 1991 and a community church was opened in 2000. 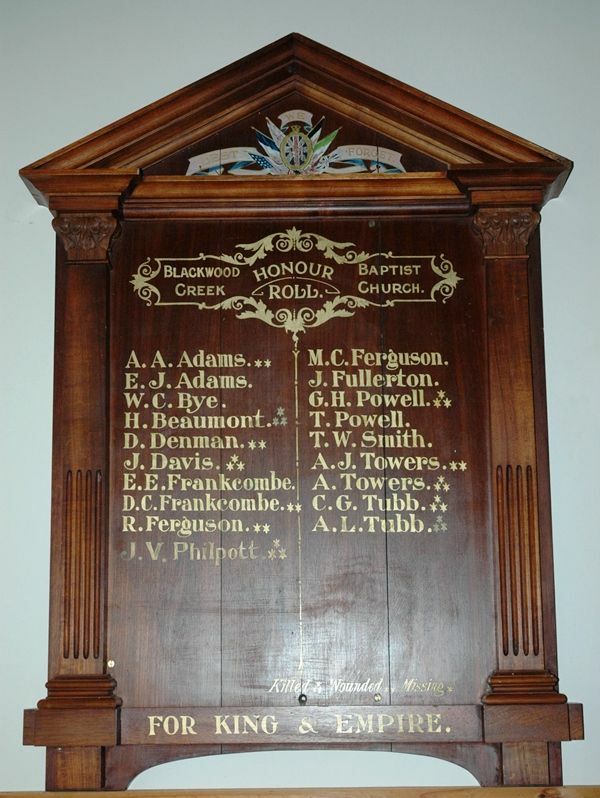 A special service was held in the Baptist Church on Sunday, December 16, the occasion being the unveiling of a pulpit to the memory of Blackwood Creek boys who have fallen in battle, also the unveiling of the roll of honour. 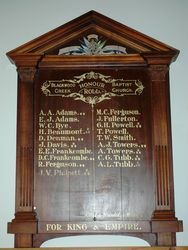 The pulpit and rail are designed in Tasmanian hardwood, and the roll of honour, which contains 18 names, is beautifully designed in blackwood, the work of Messrs. J. and T. Gunn. 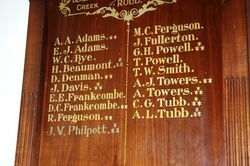 Of the 18 names enrolled, four have made the supreme sacrifice, and four have been wounded, two of whom have been discharged. A large congregation attended the service. Examiner (Launceston) 24th December 1917.